Forbo Flooring Systems introduces Flotex Modular, a high-performance 10” x 40” flocked textile plank which combines the comfort of carpet with the ease of cleaning and durability of a hard floor, resulting in a truly unique flooring solution for living areas. Flotex Modular is available in a beautiful range of organic and contemporary designs in a versatile 10” x 40” plank format, providing easy installation and inviting customers to play with color mixes as well as laying patterns. The tiles feature a surface of densely packed, Nylon 6.6. fibers that provide an indestructible, yet comfortable floor to walk on. Flotex Modular is highly stain and soil resistant and is 100% waterproof making it a truly washable textile floor. The end-result is a stylish, comfortable, hygienic textile floor that is both safe and extremely durable. We proudly present The True Collection by Hallmark. 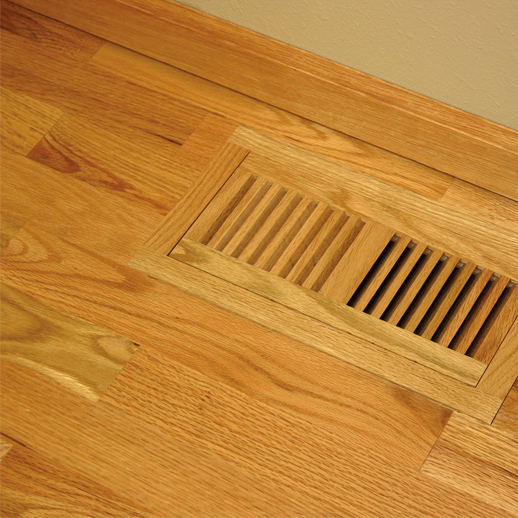 Twelve distinct hardwood floors with nature’s true colors throughout the veneer! The True Collection is not stained or dyed – it’s Nature’s process, applied by Hallmark. 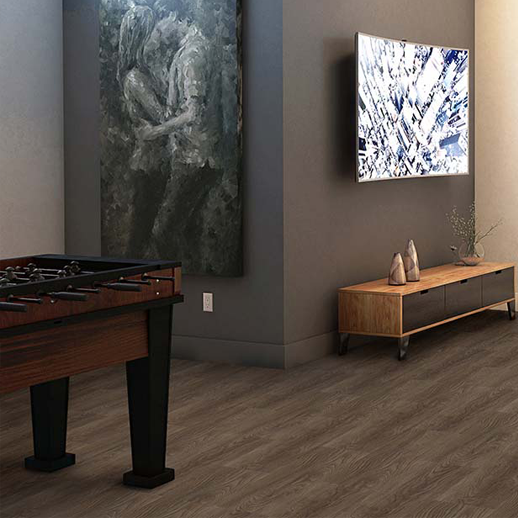 Unlike other wood floors, the color and beauty of these unique, True Collection floors, goes throughout the surface layer without using stains or dyes. The results are truly stunning and extraordinarily beautiful, with distinctive features and benefits. Hallmark is the first to master this revolutionary technology of replicating “the bog-wood process” that occurs when logs lie buried in lakes, river, and waterways for hundreds of years, deprived of oxygen and sunlight. This process in nature can take centuries for the wood to turn from its natural color to deep golden brown or even completely black. Hallmark has emulated nature’s methods to create saturated colors throughout the top layer, creating stunning, weathered patinas. 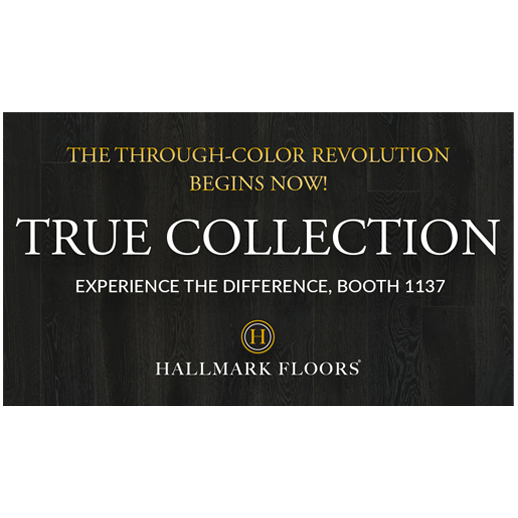 True Collection by Hallmark Floors.